The Committee on the Status of Endangered Wildlife In Canada reported Monday that of southern B.C. 's chinook populations, eight are endangered, four are threatened and one is considered of special concern. Nearly half of southern British Columbia's chinook salmon populations are in decline, according to a science committee that monitors the health of wildlife populations. The Committee on the Status of Endangered Wildlife in Canada (COSEWIC) reported Monday that of 16 chinook populations studied, eight are endangered, four are threatened and one is considered of special concern. Only one, located in British Columbia's Thompson River, is considered stable. The condition of two populations is unknown. Southern B.C. has 28 chinook populations. Endangered is the committee's most serious ranking, suggesting the population is in danger of being wiped out. "There are some where there is thought to be fewer than 200 fish still remaining," said committee member and fisheries biologist John Neilson. "At that level, there would be concern about those stocks. That's why we're sounding the alarm." "From other studies and general knowledge on the state of salmon in B.C., there's a lot of concern," Neilson said. "These are populations that are at the high end of needing some attention." 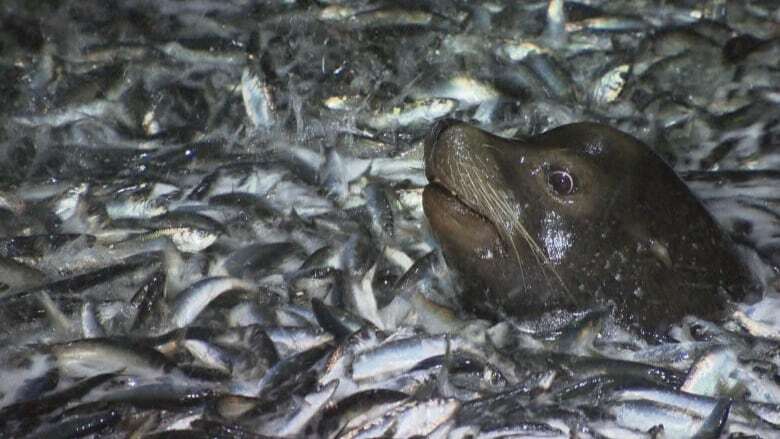 Some believe growing numbers of seals and sea lions, which feed on the fish, are behind the declines. Others say the warming and acidifying ocean is starting to affect the food web the salmon depend on. "It's a complex story," said Neilson. COSEWIC chair and Simon Fraser University fisheries biologist John Reynolds said he was surprised to see just how badly the populations were doing. 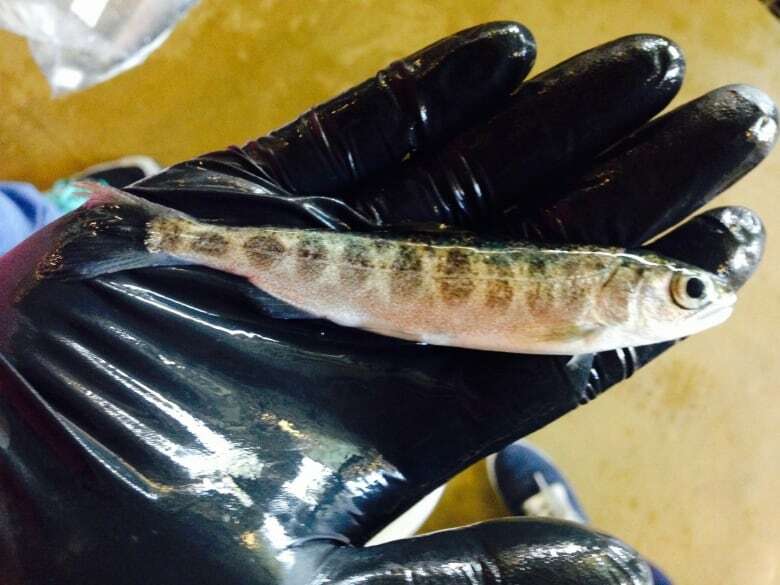 "In general, salmon have been having a struggle lately on the West Coast," Reynolds said. Reynolds blamed the decline on climate change, which he said is causing warmer temperatures in the ocean and rivers. 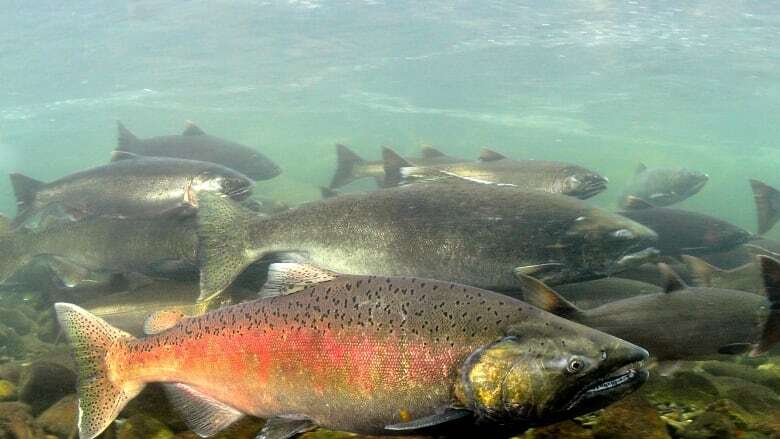 "When they're returning to spawn, if the temperature starts to go up toward the 19 to 20 C mark, the salmon can simply die en route to the spawning grounds," he said. Neilson said it's time the federal government use its power to protect the fish and its habitat, he added. "Our suggestion is that government act quickly," he said. Federal Environment Minister Catherine McKenna said she hadn't yet seen the assessment but would follow up on its concerns. "We understand that it is critically important to protect and conserve our native wildlife. We need to fulfil our obligations under the Species At Risk Act." Included among the 36 species the committee assessed were polar bears, which remain a species of special concern. It also looked at the black ash tree, a common urban tree in civic parks in Toronto, Montreal, and Ottawa. It found that over the past 20 years, an invasive species called the emerald ash borer has killed about two billion ash trees in the Great Lakes Region. In a previous version of this story, the Canadian Press erroneously reported that Canada has 16 chinook populations and that half of those are endangered. In fact, southern B.C. has 28 chinook salmon populations. Of the 16 studied by the Committee on the Status of Endangered Wildlife In Canada, eight are endangered, four are threatened and one is considered of special concern.